Kendrick Lamar is the undisputed king of hip-hop. Widely regarded as the best rapper in the game, his first two studio albums have become certified classics. In his short career, he’s already become one of the greatest rappers of all-time. He has an indestructible desire to be the very best, and he has accomplished that. With the release of his latest album DAMN., he has once again proven that no one in hip-hop can touch him. The video for the song “DNA.” is another amazing visual accompaniment to a rapidly increasing catalog of stunning videos. Chucks are a big part of the shoe culture in Compton. The song is the second one of the album, but the first song, “BLOOD.”, acts more like an intro than a full song, so “DNA.” is really the first full-fledged song on the album. As such, it sets a very hard and biting tone for the rest of the album, mentally preparing you for the bars that are to come. Kendrick adopts many viewpoints in this song, arguing the good, the bad, and everything in between when it comes to African-American culture. His rapid fire delivery hammers home the internal argument that is occurring here. There’s a beat change that occurs after the first verse during the bridge of this song, that changes Kendrick’s flow to that of an even angrier, quicker style that brings the whole song to another level, and this is a common theme throughout the album. 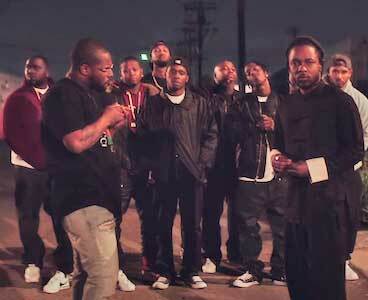 The music video opens with Kendrick in a police interrogation room hooked up to a lie detector machine. Actor Don Cheadle enters the room, and begins to question Kendrick. Everything is going as you would expect in any police interrogation, with Cheadle insulting Kendrick and acting generally dismissive of him. However, as soon as Cheadle turns on the polygraph, he becomes consumed and overtaken by Kendricks music, and begins rapping “DNA.” back to Kendrick in a combative manner. Kung Fu Kenny and Cheadle then begin to almost argue with each other using Kendrick’s verse until Cheadle releases him at the bridge. 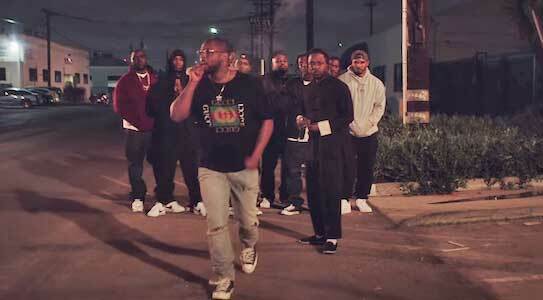 After the beat shift, we cut to Kendrick back on the street with his crew, and here we see many of them wearing chucks, including fellow TDE artist Schoolboy Q. This video joins the first video from this album, “HUMBLE.”, as another great visual addition to Kendrick’s catalog. Schoolboy Q in black chucks. Get a new pair of chucks to rap in by clicking on the links below.